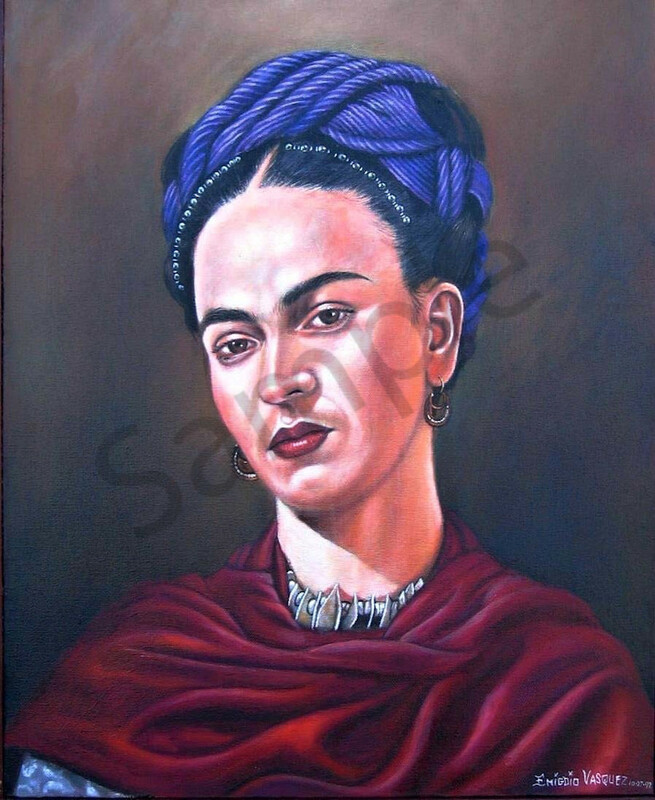 From a popular photo of Frida Khalo, Emigdio painted her in his signature style. Frida Kahlo was a celebrated artist known for her attention to Mexican and indigenous culture paintings. Most of her paintings were life experience themed as well as painting 55 self-portraits. She was married to muralist Diego Rivera. This Limited Edition Giclee is 16x20, its original size. There are only 120 high quality canvas prints available including a Certificate of Authenticity. The price is exclusive of any tax, shipping, or frame.